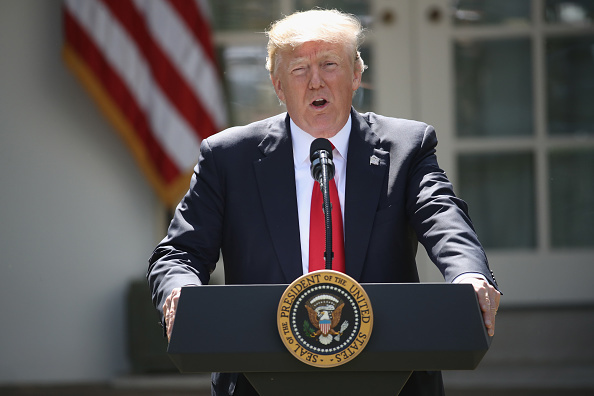 U.S. President Donald Trump on Saturday promised $639 million to help people facing starvation due to drought and conflict in Northeast Nigeria, Somalia, South Sudan and Yemen. According to Rob Jenkins, Acting Head, Bureau of Democracy, Conflict and Humanitarian Assistance at the U.S. Agency for International Development (USAID), Nigeria will receive $121 million, Yemen will receive $191 million, South Sudan will receive $199 million dollars and Somalia will receive $126 million. “With this new assistance, the United States is providing additional emergency food and nutrition assistance, life-saving medical care, improved sanitation, emergency shelter and protection for those who have been affected by conflict,” USAID said in a statement. Jenkins added that conflicts in all the four countries had made it difficult to reach some communities in need of food and USAID was also concerned about the situation in southern Ethiopia. According to Vanguard, the new funding brings to $1.8 billion aid promised by the U.S. for fiscal year 2017 for the crises in the four countries where the United Nations had estimated more than 30 million people needed urgent food assistance. ” David Beasley, Executive Director, WFP said. Beasley added that the agency had worked hard with the White House and the U.S. government to secure the funding, but Trump insists that other countries contributed more as well.